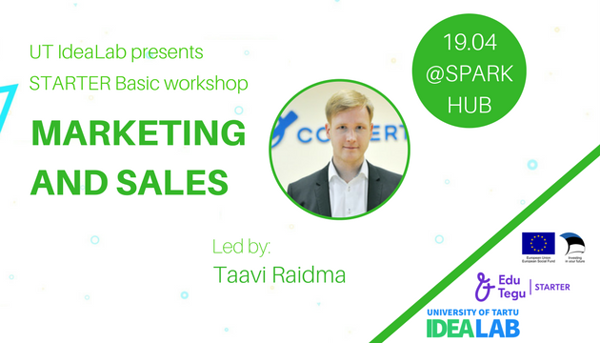 UT IdeaLab presents you the seventh workshop of the pre-incubation programme: Marketing and Sales - You will learn how to reach your customer and how to sell your service & product on digital media. This workshop will be led by Taavi Raidma! He is google's certified trainer and has previously held many international trainings. He has been a mentor for many STARTER programme teams before and has worked with a lot of startup accelerators (Buildit Accelerator, Startup Wise Guys, Ignite100, Spark10) as a digital marketing specialist. Digital marketing workshop will consist of lecture part and also practical teamwork!